5 locks on the cards for today.. to get us a bit closer to Leicester. Managed to get this one – without being noticed.. 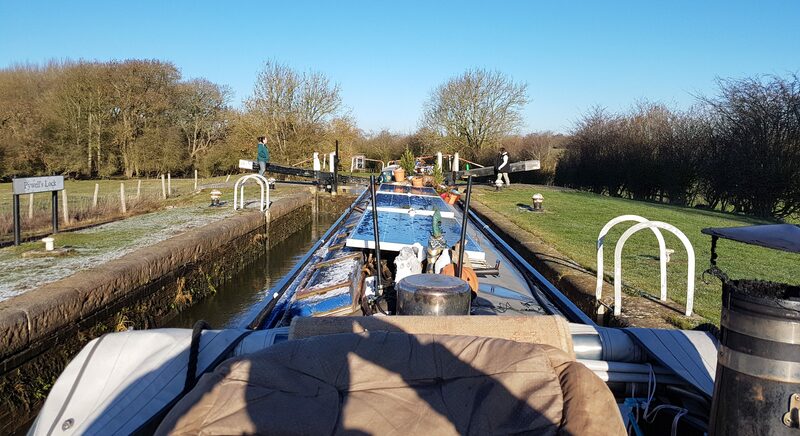 Yes the canal was frozen, but it was not too thick, so fairly easy going..
Got out of the last lock, so its easy running from now on.. wash is on (again) so 2 loads today done (as it needs the engine running to provide power to run it – better to do them whilst moving!).. And as we were getting closer to the planned mooring spot.. eye’d a pile of freshly cut up logs on the offside.. so pulled back and grabbed some. Found why.. as we got to the mooring, there was a CRT work boat cutting off the overhanging branches, leaving the large stuff on the bank and shredding the little bits (all over the bank.. but still) – so will be getting some more tomorrow with luck if I can get close enough to grab some! Got the chainsaw out, chopped them up so there fire sized.. and got on with the fuel filter(s) and oil & oil filter change.. in between meetings of course as Wed is a busy day for phone calls.. but it needed to be done as the engine is coughing occasionally due to water in with the fuel and the filters being saturated (and I cant be doing with replacing the injectors – so need to get this sorted before it gets to be a problem).. must get that water extractor at some point and get it fitted (but someone else will need to rerun new fuel lines.. I’m handy with a spanner.. but fuel and LPG lines I would rather leave to someone who can do it safer than me)! 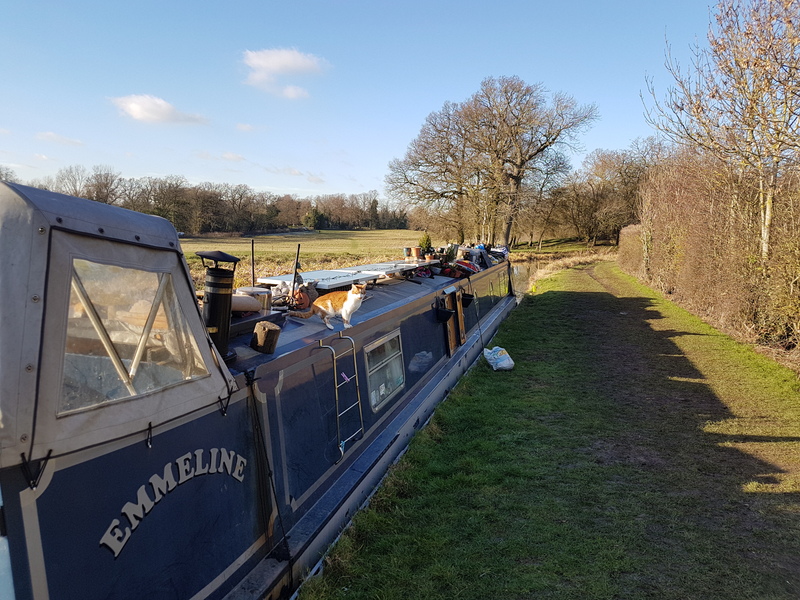 7 more locks tomorrow.. then were at the water point at Kilby Bridge.. hopefully there will be somewhere to pull up for a few days as I need a car next week, and Anna needs it the weekend after.. so need to get somewhere we can stay put for a while – and to be honest.. I think I will be thankful of the rest.. over a week of early morning moves followed by late night working is getting very tiring..